In 1971, Steel Mill used a snippet of Honky Tonk in the middle of Martha And The Vandellas' Dancing in the street. Springsteen attends the fourth Annual Rock And Roll Hall Of Fame ceremonies. The night's inductees are Dion, Otis Redding, The Rolling Stones, The Temptations, Stevie Wonder, and Phil Spector, plus The Ink Spots, Bessie Smith, and The Soul Stirrers in the Early Influences category. 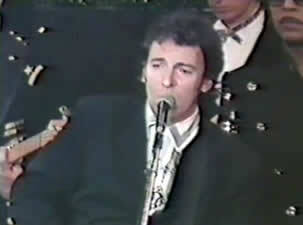 As had been the case in January 1987 (when Bruce inducted Roy Orbison and performed) and January 1988 (when Bruce inducted Bob Dylan and performed) Springsteen took the stage, joining in the all-star jam on most of the songs and sings lead on "Crying", dedicated to Roy Orbison, who had passed away only a few weeks earlier. 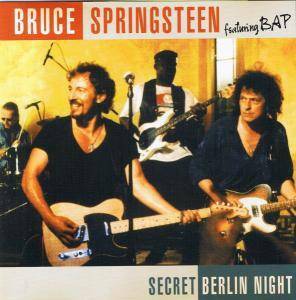 Bruce plays guitar on all songs, plus tambourine on "Uptight (Everything's Alright)". The all-star band includes, along with Bruce, most of The Rolling Stones (Mick Jagger, Keith Richards, Ronnie Wood, and Mick Taylor), most of The Temptations (Dennis Edwards, Melvin Franklin, David Ruffin, and Otis Williams), Stevie Wonder, Tina Turner, Little Richard, Pete Townshend, Dion, Paul Simon, Lou Reed, Anita Baker, David Crosby, Graham Nash, Bobby Womack, Al Green, Ben E. King, Bobby McFerrin, Daryl Hall & John Oates, Foreigner's Mick Jones, and more. 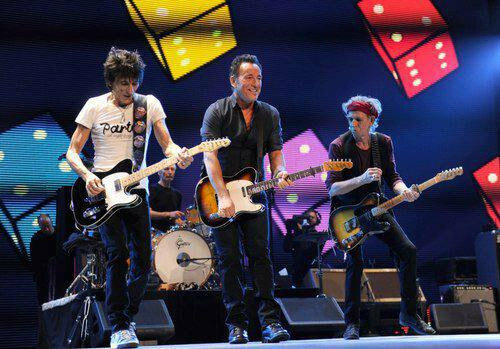 Bruce attended with Patti Scialfa and, according to some reports, former Castiles member George Theiss attended. Former E Streeter Band member Vini Lopez was definitely there and took part in the show. He later recalled "They had the whole induction ceremony and four hours later, Bill Graham is on stage and he's pulling people out of the audience. Bruce comes up to me and says, "You see that other drum set up there? " Next thing you know, I was up there. I played for an hour and a half with those guys. Paul Simon, Steve Wonder. It was cool. 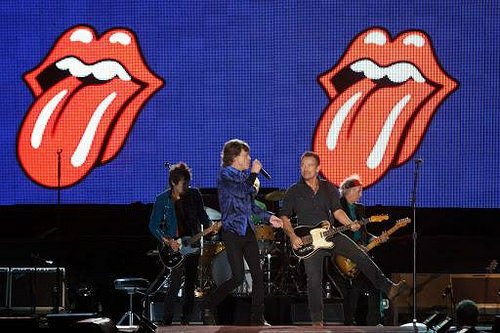 Mick Jagger was leaning on my shoulder, singing 'Honky Tonk Woman' with Tina Turner." Audio of "Uptight (Everything's Alright)", "Honky Tonk Women", "Start Me Up", and "River Deep - Mountain High" was officially released in 2011 on the compilation album Rock And Roll Hall Of Fame, Vol. 1: 1986-1991 (Live). "Honky Tonk Women" segues into "Darlington County". 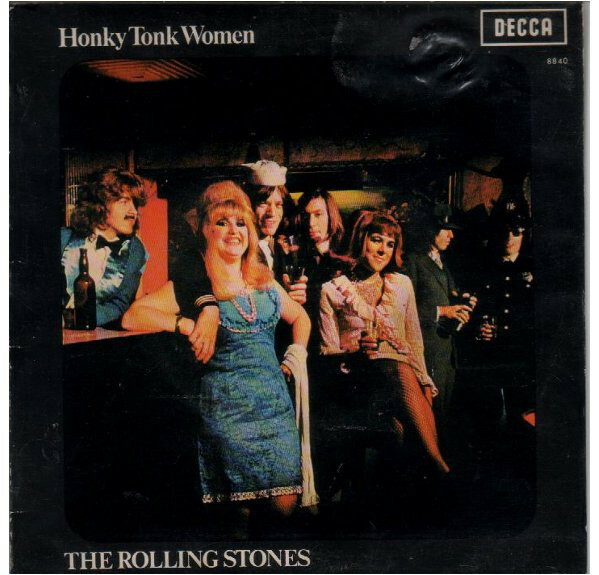 "Honky Tonk Women" is a 1969 hit song by the Rolling Stones. It was a single-only release, available from 4 July 1969 in the United Kingdom, and a week later in the United States (although a country version called "Country Honk" was later included on the album Let It Bleed).The song was written by Mick Jagger and Keith Richards while on holiday in Brazil from late December 1968 to early January 1969, inspired by Brazilian "caipiras" (inhabitants of rural, remote areas of parts of Brazil) at the ranch where Jagger and Richards were staying in Matão, São Paulo. Two versions of the song were recorded by the band: the familiar hit which appeared on the 45 single and their collection of late 1960s singles, Through the Past, Darkly (Big Hits Vol. 2); and a honky-tonk version entitled "Country Honk" with slightly different lyrics, which appeared on Let It Bleed (1969). Thematically, a "honky tonk woman" refers to a dancing girl in a western bar who may work as a prostitute; the setting for the narrative in the first verse of the rock-and-roll version is Memphis, Tennessee: "I met a gin soaked bar-room queen in Memphis", while "Country Honk" sets the first verse in Jackson, Mississippi: "I'm sittin' in a bar, tipplin' a jar in Jackson". The band initially recorded the track called "Country Honk," in London in early March 1969. Brian Jones was present during these sessions and may have played on the first handful of takes and demos. It was his last recording session with the band. The song was transformed into the familiar electric, riff-based hit single "Honky Tonk Women" sometime in the spring of 1969, prior to Mick Taylor's joining the group. In an interview in the magazine Crawdaddy!, Richards credits Taylor for influencing the track: "... the song was originally written as a real Hank Williams/Jimmie Rodgers/1930s country song. And it got turned around to this other thing by Mick Taylor, who got into a completely different feel, throwing it off the wall another way." However, in 1979 Taylor recalled it this way: "I definitely added something to Honky Tonk Women, but it was more or less complete by the time I arrived and did my overdubs."